Photo courtesy of Lindsay Dill Alexandra Bodnarchuk's CONNOTATIONS: unknown. 8 p.m. Fri., May 2, and 7:30 p.m. Sun., May 4. $10 ($5 artist tickets May 4 only). The fleeting nature of interpersonal relations is the theme of dancer and choreographer Alexandra Bodnarchuk's latest production, CONNOTATIONS: unknown. 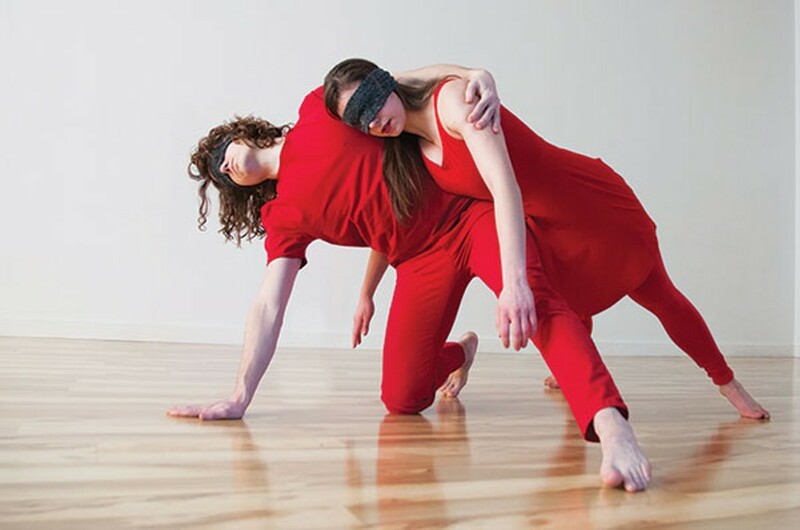 The 45-minute modern-dance work will be performed May 2 and May 4 at PearlArts Studios. Bodnarchuk, 24, is a Pittsburgh native who graduated from Ohio University in 2012 with degrees in dance and French. A new dancemaker on the local scene, Bodnarchuk says she likes to create choreography with her dancers using structured improvisation exercises. She adds that her movement language has a sense of weightiness to it. 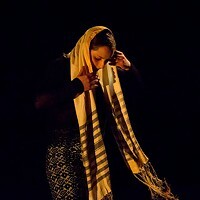 She was inspired to create CONNOTATIONS: unknown by her experiences as a performer in Bricolage Productions' 2012 show STRATA. In that immersive-theater work, Bodnarchuk portrayed "the last girl left at prom": In one-on-one encounters with audience members, she briefly slow-danced with them in a darkened room. It was one of a series "refitnessing tests" at the fictitious STRATA center, aimed at achieving the worry-free state of "iConsciousness." Bodnarchuk says she wanted to recreate the sense of "blind connection" she felt as the prom girl, dancing with strangers she could barely see. CONNOTATIONS: unknown is arranged in three sections. It's set to a soundscape edited by Steve Hudock and featuring music by Pittsburgh's Dave Bernabo, along with recorded dialogue and sound effects. 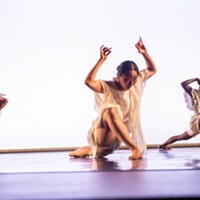 In the first section, which was previewed at the Kelly-Strayhorn Theater's 2013 newMoves Festival, Bodnarchuk and four other dancers perform in and out of the spotlight, being briefly glimpsed and then disappearing into darkness. Bodnarchuk likens this section to "going through life within yourself." The second part is an emotional duet, performed and co-choreographed by Bodnarchuk and dancer Zek Stewart. Bodnarchuk and Stewart dance while wearing blindfolds, and their duet goes from nurturing to violent. "We allow ourselves to be pushed to the brink in order to come back from it," says Bodnarchuk. The work's final section is a solo in which Bodnarchuk explores the emotional void after Stewart's character departs. Says Bodnarchuk: "I work through everything that has happened to me, to once again adjust to being on my own." The show's May 2 performance features a guest performance by students from Factory Street Studio in Athens, Ohio.